This is the weekly ownCloud community update for the week of May 25 to June 1st. These updates pull together activities from development mailing lists, blogs, coding work and everything else community members share with us. Tips are very much welcome! Ping Jos with your input. Biggest items last week were the update of SabreDav to 1.8.10 and phpmailer to 5.2.8 and the maintenance mode in the occ commandline client. On apps.owncloud.com the XMPP Chat app and the User Conversations app got updated. 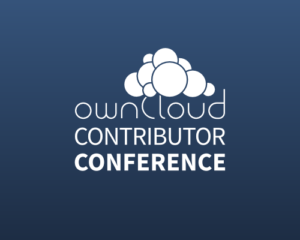 Not last week, but awesome news as well: the announcement of the ownCloud Contributor Conference & Hackathon!. You can read a report on week 21 here. Lots of work last week – let’s start with code. A series of database performance related pull requests got merged: Improve caching in AppConfig, add index to the file cache, add share index, add primary key to jobs table and a database code cleanup. Frank also emailed the ownCloud development list with a number of tips and good practices for keeping database performance up on the 2nd of June. SabreDav got updated to 1.8.10, as explained on the mailing list and there is a call for testing as well. Another update is phpmailer to 5.2.8. Some usability improvements, including select webdav address on click, show delete hint text on hovering trash and better grouping of activities. There is now an update overview page giving the user an idea of what is going to happen upon updating his/her ownCloud instance. The occ commandline tool introduced a ‘maintenance mode’ which should be enabled when you back up your ownCloud instance as it prevents a miss-match between database and files. The User Conversations 0.1.6 release brings clickable hyperlinks, highlighting new messages, the ability to delete posts and bugfixes to User conversations. Owncloud SSO IPS Connect introduces single sign on with IPS support to ownCloud. There was again work on the sharing overview and the upgrade progress, LDAP support and user management. Some work was put in to make large files on 32bit systems work a bit smoother. The ownCloud desktop client 1.6 RC 3 came out last week while the final release was made on June 2. See Danimo’s blog for an overview of what is new. Volkan updated us on progress in the 5th week of his GSOC project. Work on pull-down-to-refresh for android made progress. The ownClouders twitter account alerted us about a new and very awesome ownCloud application for Mac users, ownDrop. ownDrop is a one-click upload client for Mac OS X, allowing you to drop a file on the icon in the system tray and returning the url, ready to share on the clip board. On the development mailing list, I announced that we’d like to start a Community Working Group to turn the occasional frustration and irritation that arises out of our enthusiasm into something positive. 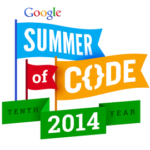 This week, a hackaton is still taking place in Stuttgart and a smaller one in Berlin. Both have been creating a lot of code churn in our repo’s, with Pull Requests being merged in preparation for the Feature Freeze this Friday! If you have time: go over some Pull Requests… Find a list of open PR’s for core here. A much bigger hackathon is being organized in the form of the ownCloud Contributor Conference, announced today. 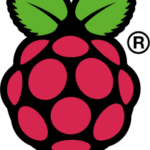 There are meetups being organized around ownCloud! For those of you living in or close to Berlin or Münich, there will be a meetup every third Wednesday of the month. All ownCloud meetups will be gathered on owncloud.meetup.com.